For some people, the entire month of Ramadan revolves around food. They spend the ENTIRE day planning, cooking, shopping and thinking only about food, instead of concentrating on Salah, Quraan and other acts of worship. They think so much about FOOD that they turn the month of ‘fasting’ into the month of ‘feasting’. Come Iftaar time, their table is a sight to see, with the multitudes and varieties of food, sweets and drinks. They are missing the very purpose of fasting, and thus, increase in their greed and desires instead of learning to control them. Besides, it leads to wastage of food and extravagance. Some of the sisters (either by their own choice or forced by their husbands) are cooking ALL day and ALL night, so that by the end of the day, they are too tired to even pray Ishaa, let alone pray Taraweeh or Tahajjud or even read the Qur’an. This is the month of mercy and forgiveness. So turn off that stove and turn on your Imaan! Some people stuff themselves at Suhoor until they are ready to burst, because they think this is the way to not feel hungry during the day and some people eat at Iftaar, like there is no tomorrow, trying to ‘make up for the food missed’. However, this is completely against the Sunnah. Moderation is the key to everything. Too much food distracts a person from many deeds of obedience and worship, makes him lazy and also makes the heart heedless. It was said to Imam Ahmad: Does a man find any softness and humility in his heart when he is full? He said, I do not think so. The Prophet (s.a.w.w.) said: ‘Eat suhoor for in suhoor there is blessing.’ [Bukhaari, Muslim]. Some people stop eating Suhoor 10-15 minutes earlier than the time of Fajr to observe ‘Imsaak’. Some people are too scared to fast if they miss Suhoor. However, this is an act kind of cowardice and love of ease. Missing a few morsels in the morning will, insha’Allah, not lead to death. Remember, obedience to Allaah overcomes everything. Saying the intention for fast out loud or saying a specific dua’a to start fasting are bid’ah. The intention is an action of the heart. We should resolve in our heart that we are going to fast tomorrow. That is all we need. It is not prescribed by the Shari’ah for us to say out loud. Also, there is no specific dua’a to be recited at the time of starting the fast in the Sunnah. Whatever ‘dua’a’ one may see on some papers or Ramadan calendars, etc. is Bid’ah. In fact, NONE of his good deeds will be accepted; rather, they are all annulled. Exams or work is NOT one of the excuses allowed by the Shariah to not fast. You can do your studying and revision at night if it is too hard to do it during the day. Also remember that pleasing and obeying Allaah is much more important than ‘good grades’. Besides, if you will fulfill your obligation to fast, even if you have to study, Allaah will make your studies and other activities easy for you and help you in everything you do. Some people waste the entire last 10 days of Ramadan preparing for Eid, shopping and frequenting malls, etc. neglecting Ibadah and Lailatul Qadr. Even though, the Prophet (s.a.w.w.) 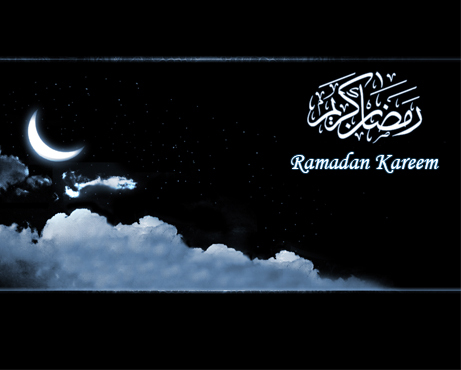 used to strive the most during the last ten days of Ramadan in worship [Ahmad, Muslim] and not in shopping. 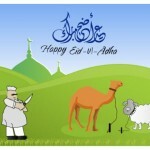 Buy whatever you need for Eid before Ramadan so that you can utilize the time in Ramadan to the utmost. Although inviting each other for breaking fast is good and encouraged, some people go to extremes with lavish ‘Iftaar parties’ with all sorts of disobedience to Allah, from flirting, mixing of the sexes and hijaab-less women to show-off and extravagance, to heedlessness to Salaah, and Taraweeh to even music and dancing. It’s not too late to rectify ones mistake and do good for the sake of Allah. PML-N VS MQM – Who Says Our Politicians Are Mature? Momina, I feel like your intentions for writing this article were good, and you had some useful suggestions for the month of ramadhan, but I would like to point out some facts which I feel would further improve the affectiveness of your article. Firstly when you mentioned people who stop eating before the adhaan, you indirectly said that people who do that are extremists, and extremists are doomed to go to hell. I think that was very harshly put, and also sounded very judgemental. I also think your comment about hijabless women showing of at iftar parties was superfluous. You could have made the same point without mentioning “Hijabless women,” which would have made the point a lot more effective, and a lot less judgemental. Wearing a hijab does not make you more pure or make you a better muslim then anyone else. My intention was not hurting your feelings/insulting you with this post, and I apologize if I have in any way done so.